55259565 CANDELE ORIGINALI BOX 4 Pz. FIAT TIPO JEEP RENAGADE. 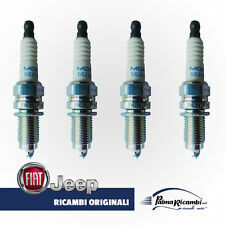 KIT che comprende 4 candele originali FIAT con codice: 55249868 Codice NGK = IKR 9J8. 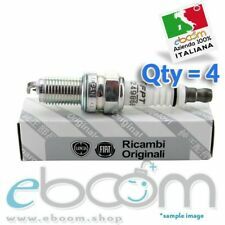 4 CANDELE ORIGINALI FIAT COD.55249868. FIAT → BRAVO [04/2007 - Oggi] → 1.4 16V (103Kw). FIAT → BRAVO [04/2007 - Oggi] → 1.4 T-Jet (88Kw). With 6-volt Electrical System; 6-volt Ignition Coil. 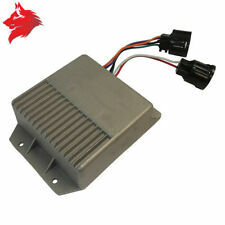 Motor: 2.5L, AMC 2.5L; ; With Carburetor; ; ignition Wire Set; ; includes 4 Spark Plug Wires and 1 Coil Wire. Jeep Grand Cherokee WJ 4.7L High Output 2002-2004. 8 x PLATINUM Spark Plug. 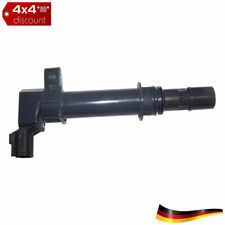 8 x Ignition Coil. Repair KIT Contains Vehicle Identification Number - VIN. Many cars have more than one option, even though the compatibilty info says that it fits your car.